To its many tourists and visitors, the Tuscan landscape evokes a sense of timelessness and harmony. Yet, the upheavals of the twentieth century profoundly reshaped rural Tuscany. 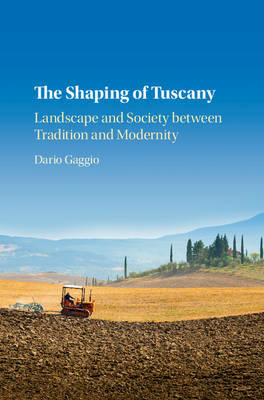 Uncovering the experiences of ordinary people, Professor Gaggio traces the history of Tuscany to show how the region's modern conflicts and aspirations have contributed to forging its modern-day beauty. He demonstrates how the rise of Fascism was particularly violent in rural Tuscany, and how struggles between Communist sharecroppers and their landlords raged long after the end of the dictatorship. The flight from the farms in the 1950s and 1960s disorientated many Tuscans, prompting ambitious development projects, and in more recent decades the emergence of the heritage industry has raised the spectre of commodification. This book tells the story of how many Tuscans themselves have become tourists in their own land - forced to adapt to rapid change and reinvent their landscape in the process.